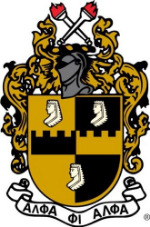 APA | History — Alpha Phi Alpha Fraternity, Inc. The most remarkable leadership in the African American community in the 20th and 21st centuries has without question come from the ranks of Alpha Phi Alpha Fraternity, Inc. Since its founding on December 4, 1906, the Fraternity has supplied a voice and vision to the struggle of African Americans and people of color around the world. Alpha Phi Alpha, the first intercollegiate Greek-letter fraternity established for African-Americans, was founded at CornellUniversity in Ithaca, New York by seven college men who recognized the need for a strong bond of Brotherhood among African descendants in this country. The Visionary founders, known as the “Jewels” of the Fraternity are: Henry Arthur Callis, Charles Henry Chapman, Eugene Kinckle Jones, George Biddle Kelley, Nathaniel Allison Murray, Robert Harold Ogle, and Vertner Woodson Tandy. The Fraternity initially served as a study support group for minority students who faced racial prejudice, both educationally and socially, at Cornell. The Jewel founders and early leaders of the Fraternity succeeded in laying a firm foundation for Alpha Phi Alpha’s principles of scholarship, fellowship, good character, and the uplifting of humanity. Alpha Phi Alpha chapters were developed at other colleges and universities, many of them traditionally black schools, soon after the founding at Cornell. While continuing to stress academic excellence among its members, the Fraternity also recognized the need to help correct the educational, economic, political and social injustices faced by African Americans. The Fraternity’s national programs date back to 1919, when Alpha Phi Alpha introduced its “Go –to – High School, Go-to-College” campaign to increase the education level of the African American community. Alpha Phi Alpha later took the lead in the voting rights struggle for African Americans and coined the nationally famous phrase: “A Voteless People is a Hopeless People” as part of its effort to register black votes. The slogan remains the battle cry today for Alpha voter registration efforts. Alpha Phi Alpha has long stood at the forefront of the African American community’s fight for civil rights and human dignity. From the Fraternity’s ranks have come outstanding civil rights leaders such as: W.E.B. Dubois, Adam Clayton Powell, Jr., Edward Brooke, Rev. Dr. Martin Luther Kinds, Jr., Thurgood Marshall, Andrew Young, William Gray, Paul Robeson, Maynard Jackson and many others. The Fraternity’s leadership development and community service training to young men has made Alpha Phi Alpha the most prestigious organization of its kind today. Alpha Phi Alpha continues its commitment to the African American community. True to its form as the "firsts of firsts," Alpha Phi Alpha has been interracial since 1945. Visit the general website here.